Nusra Front claims responsibility for suicide car bombing in Hermel, which killed three soldiers. The Lebanon branch of the Nusra Front, a Syrian jihadist group, has claimed responsibility for a suicide car bombing in the northeastern town of Hermel, reported The Daily Star. A car bomb near a Lebanese Army outpost in the city killed three soldiers and wounded six others. A suicide bomber driving a Grand Cherokee detonated the bomb after soldiers grew suspicious of him at a checkpoint on the city's outskirts. This was the second suicide bomb in Lebanon this week. On Wednesday, a suicide bomb just outside the Iranian cultural center in Beirut killed four and injured at least 100. The Abdullah Azzam Brigades, another al-Qaeda affiliate, claimed responsibility for the attack. 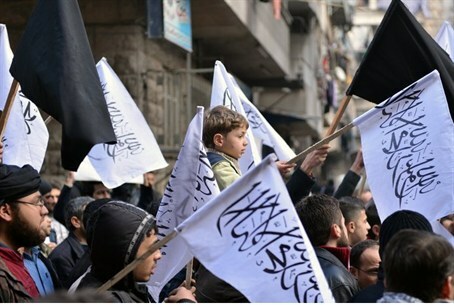 In a statement the group said its campaign would continue until Hezbollah withdrew its forces from neighboring Syria and until jailed members of the Brigades were released from prison in Lebanon. Lebanon, which has been plagued by sectarian violence for years, has seen an increase in violence since Hezbollah joined the fighting in neighboring Syria alongside President Bashar Al-Assad’s forces. The group’s strongholds in Lebanon have been the targets of repeated attacks. Bombings have also hit the mainly Sunni northern city of Tripoli, and ongoing fighting in that city between rival militias supporting different sides in the Syrian civil war have killed scores more. Last Sunday, Hezbollah chief Hassan Nasrallah said that Israel and the United States are benefitting from the turmoil in Lebanon. “Lebanon is a target for the takfiri (extremist Sunnis) groups. And what adds to it is the American and Israeli penetration of these groups,” he claimed. Al-Nusra has also claimed previous bombings in Lebanon. The group has pledged allegiance to Al-Qaeda chief Ayman al-Zawahiri and has been blacklisted by the United States and the United Nations as a terrorist group.